The quality or state of accountable; an obligation or willingness to accept responsibility or to account for your actions and work. Having accountability in the workplace and in life is crucial. Being able to know you have a responsibility or a job to do and making sure it gets done. It encompasses most everything, from showing up on time, making sure the task put in front of you is done, and taking care of all obligations you have. As employees at Oak Motors, accountability is a must. If we make a mistake it’s up to us to hold ourselves accountable and raise our hand and say “That’s my fault, and I will fix it”. The ability to hold our co-workers accountable is also key to making sure everything is performing at a high level. We must help others to make the best possible decision and solve problems. 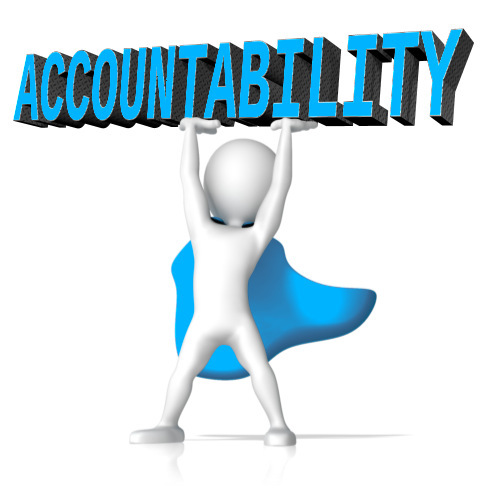 Accountability is the glue that holds together our commitment to our customers, in order for them to be successful. When our customers succeed, we as a Company succeed. In order to be World Class we must hold each other accountable for the responsibilities and actions that follow so we can deliver exceptional customer service. This is important as we must be accountable to the Company Mission Statement: Oak Motors and Indiana Finance Company are committed to providing dependable transportation to individuals regardless of their credit history, and delivery of this product/service must be done in a financially sound and socially responsible manner.